Equipped with IceRock’s exclusive Nortex—a multi-layered fabric that has been through rigorous testing—the Intense jacket is breathable, windproof and 100% waterproof. The shell of this jacket also features 100% textured nylon with Teflon surface treatment to give it a softer, more flexible feel without sacrificing durability. 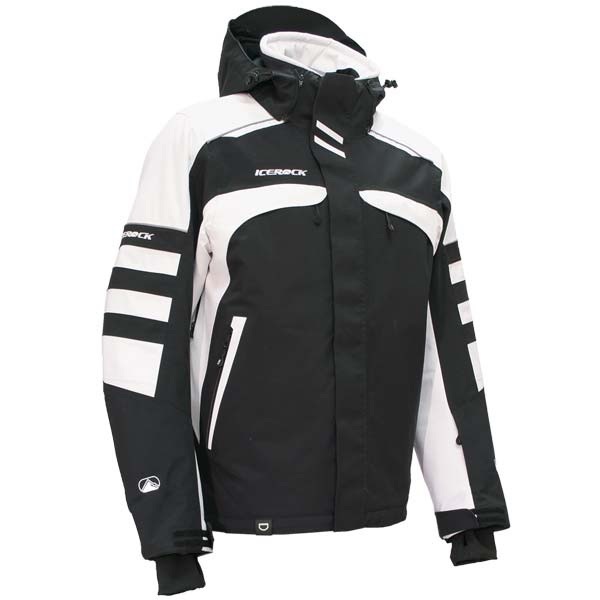 Other features include fully welded seams, aerated underarm and back zippered vents, wrist lock inner cuffs, a soft feel adjustable collar with a hood that is detachable, multiple inner storage pockets, a wind and snow dust-stopper waist belt, reflective treatment and YKK zippers. Plus, the interior lining of the jacket is made of 100-gram DuPont Sorona insulation, a renewably sourced fibre fill that is known to be lightweight. IceRock is a name that’s only been on the market for a few years, but its parent company—Choko Design (CDI Inc.)—is no stranger to producing high-end snowmobile gear and apparel. The company, which is based in Saint-Léonard, Quebec, was founded in 1983. Its product line has been expanded over the years, and Choko products can now be found in the automotive and agriculture industries as well.